Updated Saturday March 9, 2019 by NLAD. At Next Level we seek to provide the best training program possible whether you're an athlete, adult just seeking better fitness or part of our powerlifting club. All of our training programs begin with an individual assessment in order to determine specific strengths, weaknesses or imbalances and injury history. In turn, each athlete/client is given a workout program specifically designed for them based on the evaluation and their own goals and they will be closely coached through their workout each time they come in to train. We also work closely with several medical professionals in the community if we feel an additional and more comprehensive evaluation is needed in order to help us train each athlete/client at an even higher level. 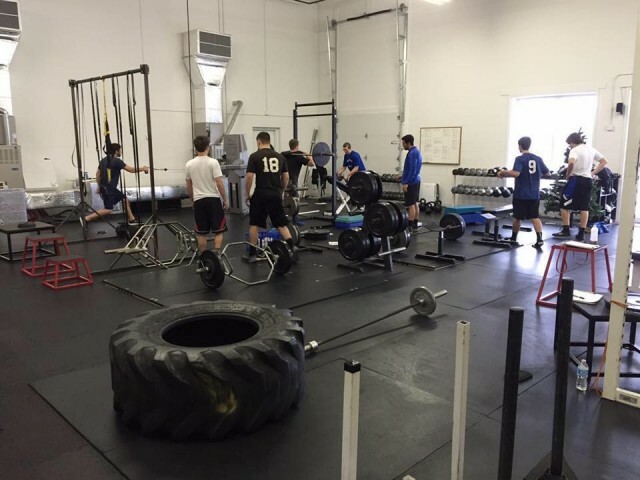 Our overriding philosophy with our athletes is long term athletic development. If we start training an 8th grade athlete, we do seek to make them better in the short term, but our ultimate goal is to provide the proper foundation to help them achieve their full athletic potential and provide them the opportunity to compete at the collegiate level or beyond if they so choose. For some athletes, that may happen rapidly, but for others it may take several months or years. We start with proper movement patterns, stability and mobility/flexibility and build from there. As athletes demonstrate competency in those areas, we gradually increase the intensity of their training program to provide new challenges and push them toward greater athletic performance.